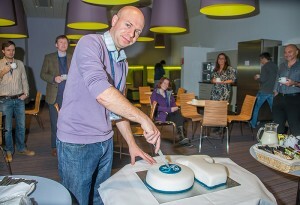 Home » Featured » The Edinburgh Research Archive is 10 years old! The Edinburgh Research Archive is 10 years old! It may seem strange but back in 2003 Open Access was a relatively new ‘thing’. Prior to 2003 many people still used the term Free Online Scholarship interchangeably with Open Access. The launch of the Budapest OA Initiative in late 2001/early 2002 helped crystallise the international movement that we see today and cemented the term Open Access in our vocabulary. In the UK, one of the early supporters of the Open Access movement was JISC who funded the ground breaking Focus on Access to Institutional Resources (FAIR) programme. The FAIR programme supported a number of projects in UK institutions that investigated and developed services based on the (at the time) brand new Open Archive Initiative. Edinburgh was involved in two of these projects – Theses Alive! and SHERPA. The Theses Alive! project (2002-2004) showed, by building a proof-of-concept service, that an electronic theses programme is a viable proposition for most UK HE institutions. The findings of this project were carried forwards by the EThOS project, in which Edinburgh University Library was a developmental partner. The original SHERPA project (2002-2006) originally consisted of 7 development partners and successfully developed a vanguard network of institutional repositories in the UK. The SHERPA partnership now consists of 34 partners and affiliates overall, comprising 32 HE institutions, the STFC and the British Library. The lasting legacy of these two projects is the Edinburgh Research Archive. 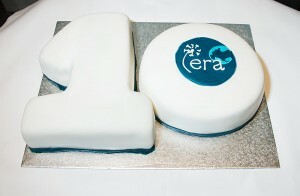 Over time the scope and focus of ERA has changed from being a blended open access repository containing all research outputs. Some of this functionality has now been taken over by our Current Research Information System PURE. Now the remit of ERA is to look after documents written by academic authors based or affiliated with Edinburgh that have sufficient quality to be collected and preserved by the Library, but which are not controlled by commercial publishers. Holdings include full-text digital doctoral theses, masters dissertations, project reports, briefing papers and out-of-print materials. Currently there are over 7000 full text items archived in ERA, and over 100,000 visitors a month. Over a decade of service we calculate that’s well over 10 million people served. Here’s to another 10 (years and million downloads! ).